I’ve nicknamed him ‘Oscar’. I’m not holding out much hope for this little guy. 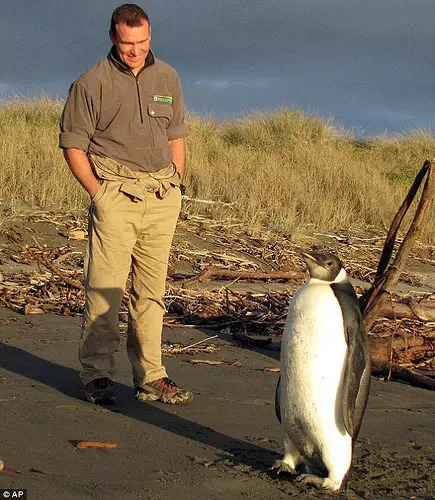 He’s 4,000 miles off-course, washed up on Peka Peka Beach Lower North Island and eating sand when he should be eating snow to hydrate – not good for an Emperor Penguin whose natural habitat is Antartica. I’m pretty sure he’s a male, cos he probably didn’t ask for directions. Anyway I’m keeping my fingers crossed! Of all the seventeen species of Penguins in the world, six of them live and breed in New Zealand – how about that! 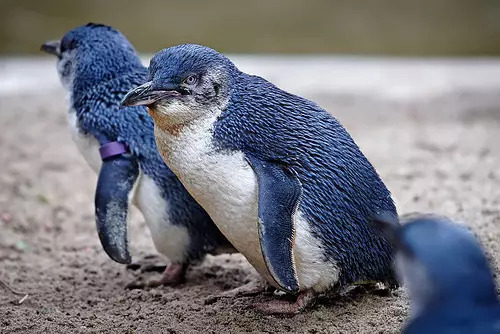 Little Blue penguins are found at the Oamaru Penguin colony, South Island. They love the cooler climate. However, they are in the Abel Tasman area as well. Very cool when you see them from a kayak! On land, they’re usually fenced off and protected from individual visitors, so it’s best to join an organised tour. From a viewing platform you can see these little guys arriving en masse to shore, nonchalantly heading down the tracks to their nesting burrows. After a full day’s fishing, they return ashore to feed their young – no stopping for pleasantries thank you. 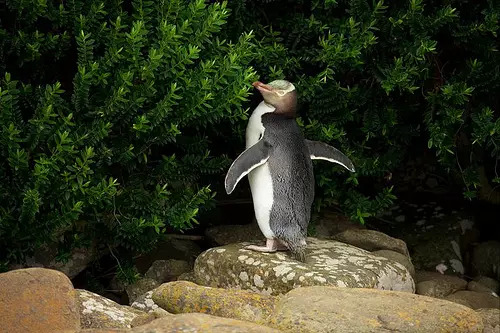 … but wait, there’s more: the Fiordland Crested and Rockhopper Penguins are found way down the South Island, but not all year around (remember, it’s a changing environment out there). My favourite is the little Yellow-Eyed Penguin. They look kinda smart and sly at the same time and they’re the rarest with only 3000 left. These cuties are found in Dunedin, The Catlins and Stewart Island (their favourite patch).